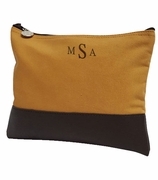 Personalized cosmetic case in this year's fashionable herringbone pattern. Top quality construction. 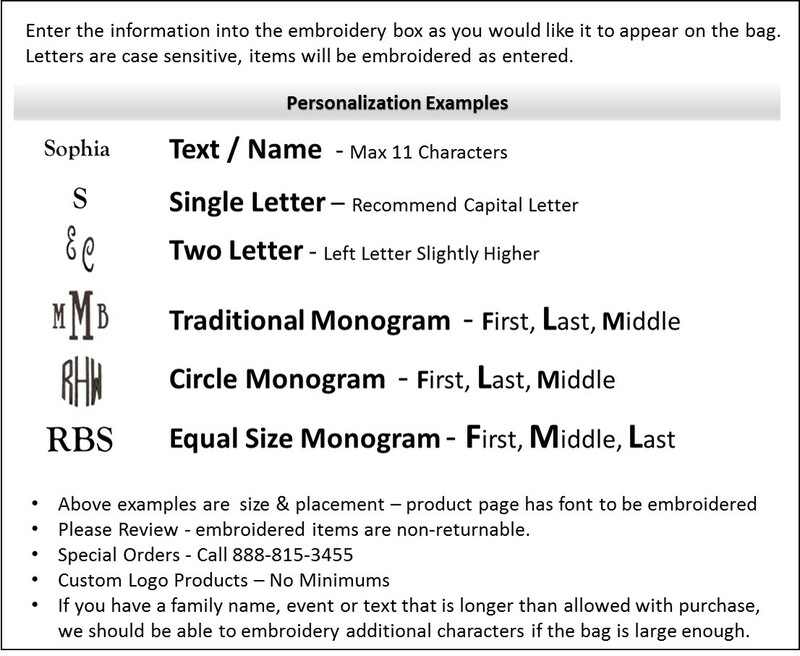 Classic cotton twill material with matching accessory totes available... search item RS-42412 or tall vertical tote RS-42418. 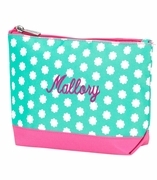 Includes personalization with single letter, name or three letter monogram. Charming gift for almost every occasion. 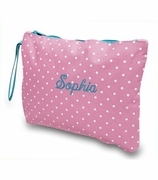 Personalized cosmetic case measures 7.5"W x 5"H x 2.25" across bottom. 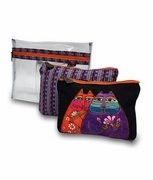 Lined with zipper closure.